Ben Is Back DVD and Blu-ray release date was set for March 5, 2019 and available on Digital HD from Amazon Video and iTunes on February 19, 2019. Right before Christmas, Ben, the oldest of four children in the blended Burns' family, surprises everyone by returning unannounced after spending 77 days in rehab. While most of his family expresses their concerns, Ben's mom, Holly, vows to welcome Ben with open arms while secretly trying to determine the real reason for his visit. Ben's visit triggers traumatic feelings, and when the family dog is abducted during a home invasion, the evening takes a turn for the worse. 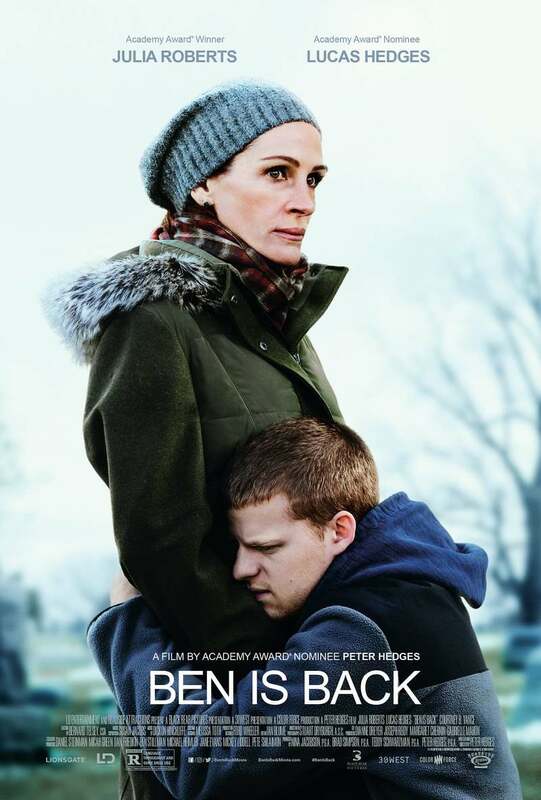 When Ben seemingly abandons his mom during the search, Holly embarks on her own search desperate not to lose her son forever. DVDs Release Dates is the best source to find out when does Ben Is Back come out on DVD and Blu-ray. Dates do change so check back often as the release approaches.